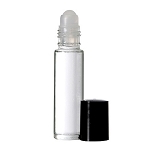 Lotion can be scented to make a matching fragrance by adding on average 1/6oz of body oil to the jar and stirring in. This ratio makes a fairly strong lotion.. you can add less or more depending on the desired effect. We also sell this lotion custom Scented in any of our over 950 fragrances and pre-packaged "ready to sell" in a 4oz tube. Luxury Body Lotion Ingredients: Purified Water, Soybean Oil, Emulsifying Wax NF, Stearic Acid (Palm Derived), Kosher Vegetable Glycerin, Ethylhexylglycrin & Phenoxyethanol (Gentle, Ecocertified Paraben Free Preservative - Green), Ricebran Oil (Rich in Vitamin E). Scented Luxury Body Lotion 4oz - As Low As $2.95!